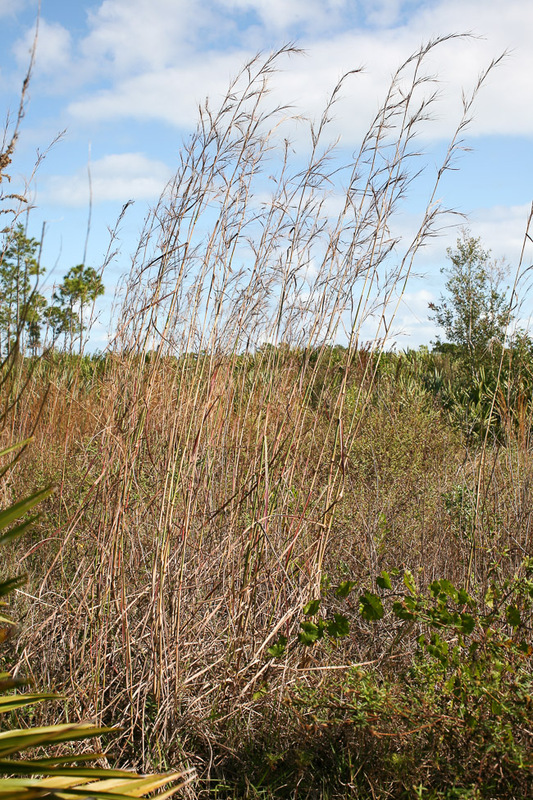 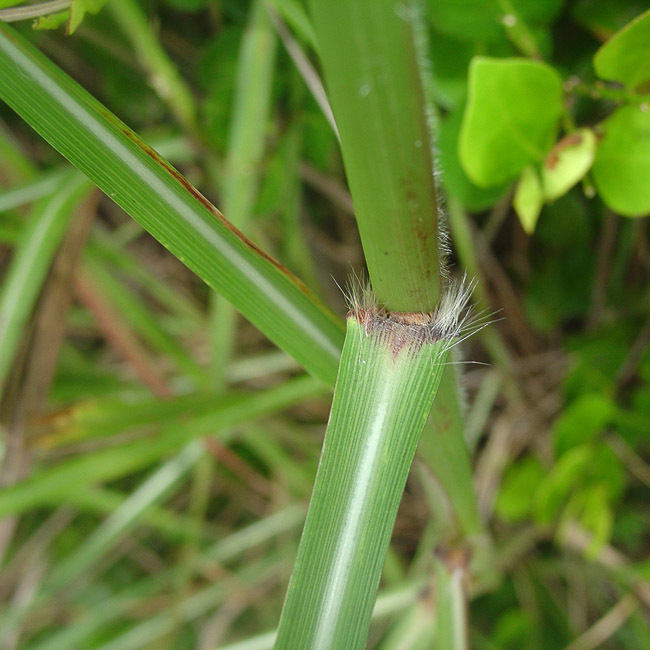 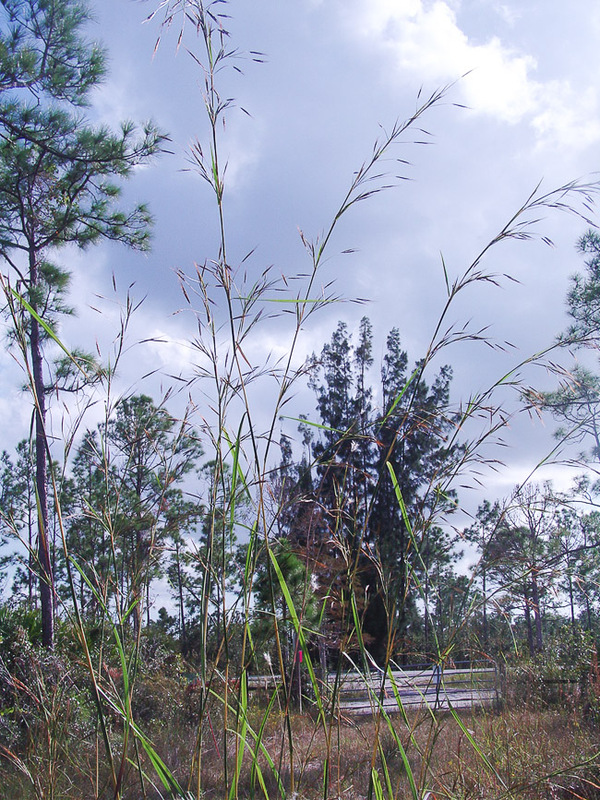 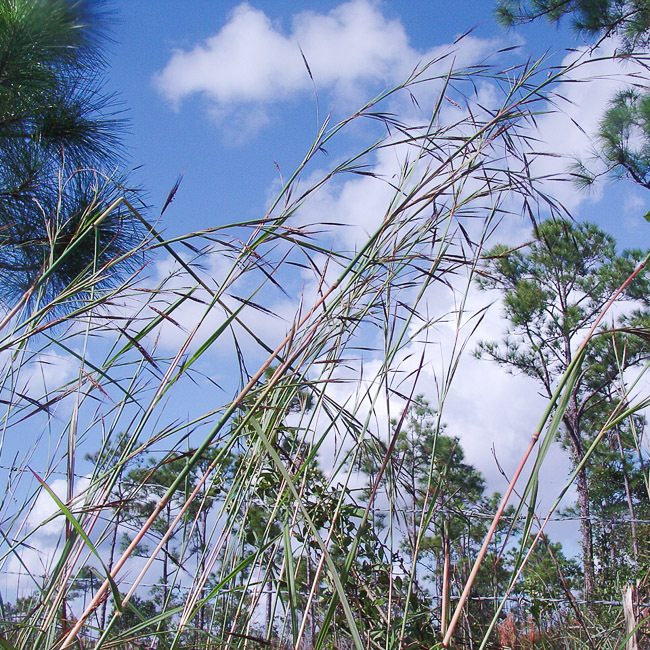 Recognition: Large coarse wetland grass (to > 3 m tall, but usually much smaller). 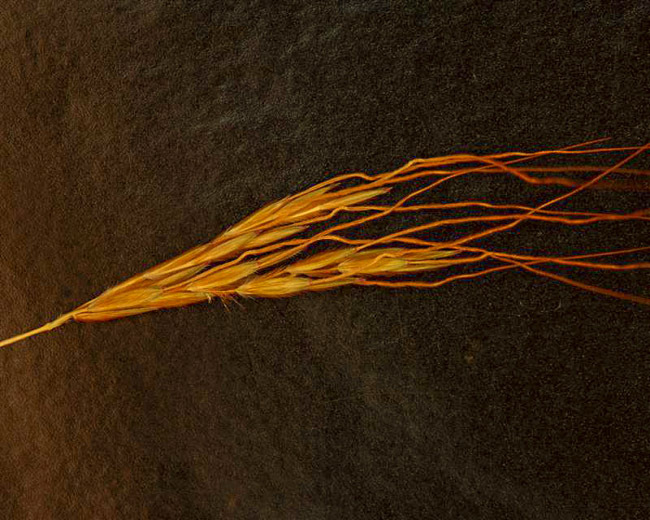 Spikes large and resembling head of wheat. 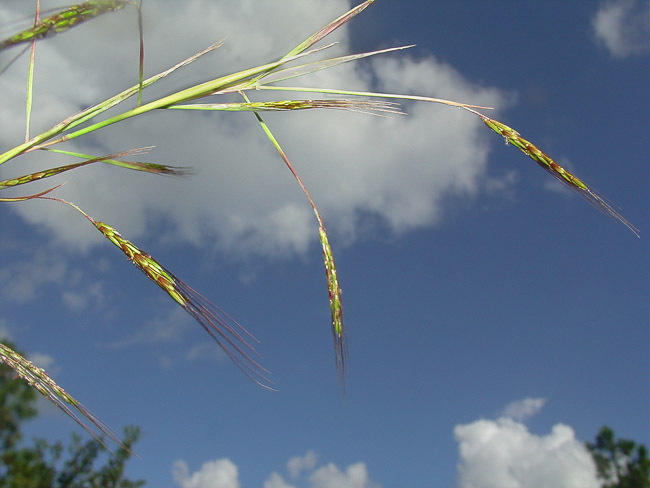 Long-awned, the awns 2-3 cm.